© 2011 sarahrowlands. All rights reserved. I was commissioned by Futago Architects to photograph this wonderful twisted textural luminous sculpture that is part of the newly replanted National Arboreteum in ACT. 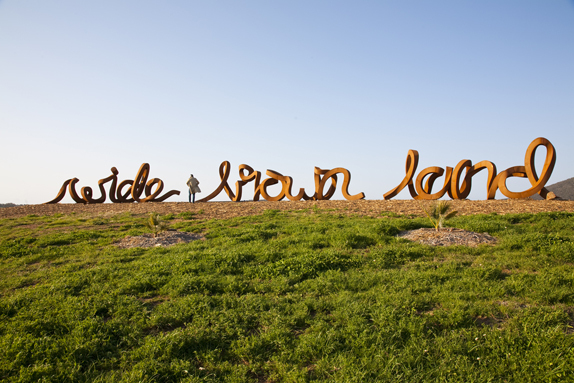 Wide Brown Land is a reference from the poem My Country by Dorothea Mackellar. I just love its shape and could just watch it all day as it changes in the light and conditions.